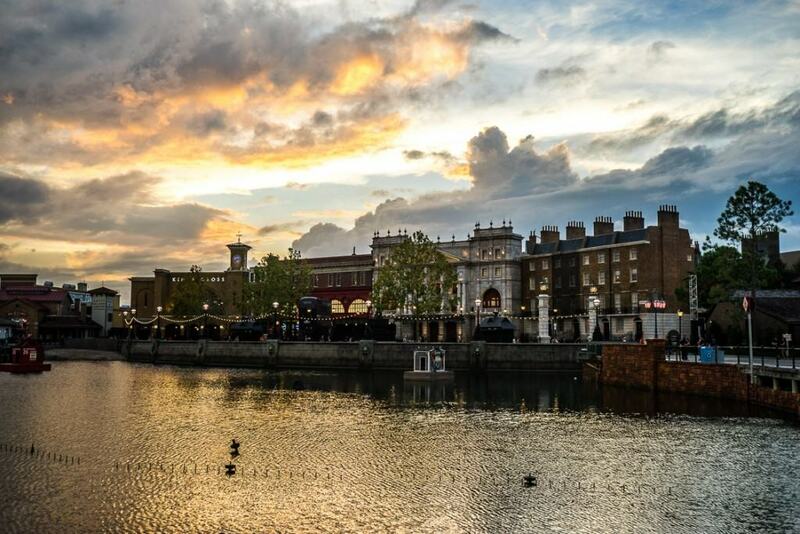 Although it’s easy to think of the London waterfront as just a facade to hide the magically secluded Wizarding World behind it, this area is actually an attraction in and of itself, replete with some of the most beautiful – and authentic! 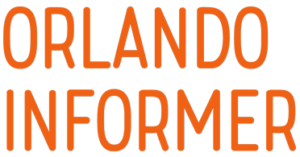 – theming to be seen anywhere in Orlando. 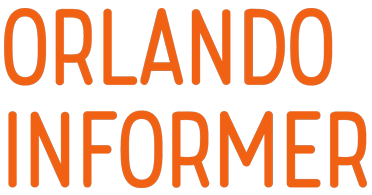 When added with photo-ops, live entertainment, food stands, and exclusive merchandise, this is a spot that will take up much more of your time than you ever thought. The London waterfront at Universal Studios Florida. If it weren’t for the plentiful sunshine and the fact that a whole bevy of famous landmarks were parked right atop one another, guests wouldn’t be blamed if they thought they had truly set foot in London, England. King’s Cross Station, where passengers of the Hogwarts Express will enter and exit. Charing Cross Road, home to that Muggle contraption called an ATM and the Leaky Cauldron (not an actual entrance). Leicester Square, where Muggles will find the true entrance to Diagon Alley. Wyndham’s Theater, which contains the Wizarding World’s exit. Grimmauld Place, the ancestral (and fictional) home of the Black family from the Harry Potter series. 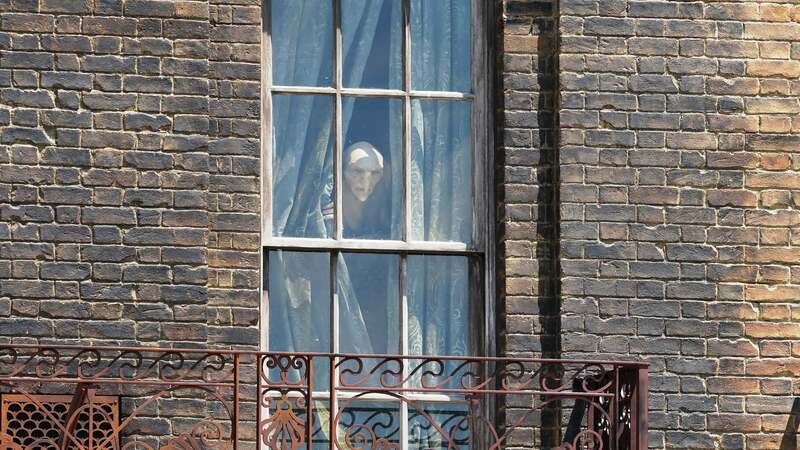 Number 12 Grimmauld Place is actually home to Diagon Alley’s first Easter egg: Kreacher the house-elf peeking out from behind the curtains of a window every few moments. Kreacher at 12 Grimmauld Place. park maps), they’d have no idea anything other than London was supposed to be represented in this section of the park. In the center of the London waterfront is Eros Fountain from Piccadilly Circus and, parked right next to it, a fully detailed Knight Bus prop. Although visitors can’t climb aboard it, they can look inside and take pictures of the highly detailed props, including the chandelier from Harry Potter and the Prisoner of Azkaban. 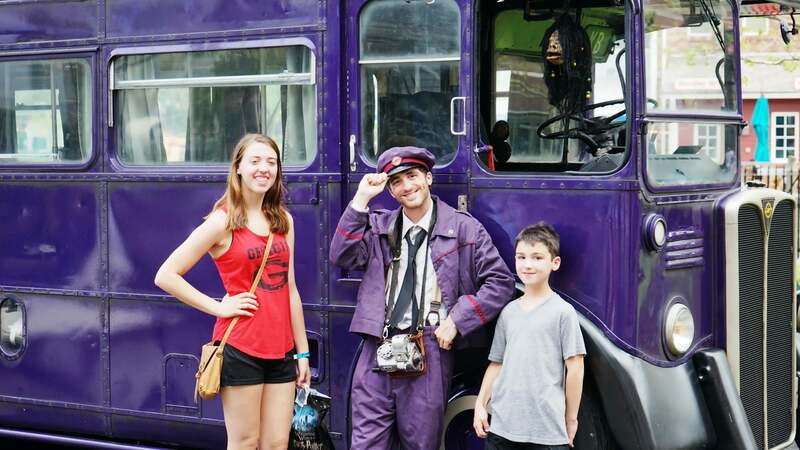 A Conductor will be stationed here to take pictures with guests, and the (in)famous Shrunken Head hanging above the dashboard will interact with both him and all the Muggles around them. The Knight Bus and the shrunken head. 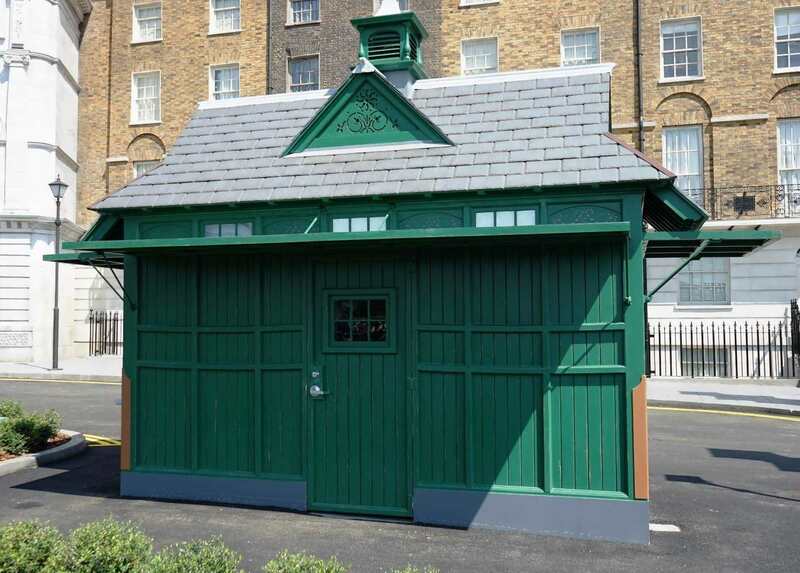 On either end of the park are cabman’s shelters (see below), with one selling traditional London food and the other offering British Muggle merchandise that won’t be available anywhere else in the resort. Finally, as if all this weren’t enough, there are street buskers periodically stationed outside (and inside!) of King’s Cross Station to greet all the newcomers to Muggle London. Playing instruments that range from violins and guitars to saxophones – sorry, there’ll be no singing here – they’re going to draw from a repository of roughly 100 different songs, including, most surprisingly, Christmas music for the holidays (author J.K. Rowling’s steadfast refusal to allow the various holidays to encroach upon the Wizarding World[s] is already the stuff of legends). Just how much time it takes to make your way through everything in the waterfront area! Whether you’re trying to take everything in or just attempting to survive the long lines to get into either Diagon Alley or King’s Cross Station (to ride the Hogwarts Express), make sure you adequately allocate enough time for London. The drivers of hackney carriages (taxis) weren’t allowed to leave their vehicles while on the clock, so the Earl of Shaftesbury headed a philanthropic effort called the Cabman’s Shelter Fund to create the very first drive-through food stops, offering “good and wholesome refreshments at moderate prices.” But because they were located on public highways, the police stipulated that they weren’t allowed to be any larger than a horse and cart. Still, 61 of these shelters were erected between 1875 and 1914. 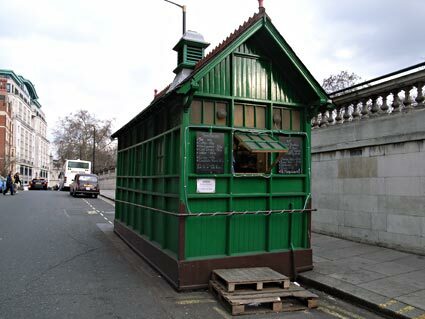 Only 13 of these shelters are still standing all throughout London, so if you want to visit them before making your way to Diagon Alley, you are certainly able – just be aware that the 19th century rules strictly prohibiting gambling, drinking, and swearing might still be enforced. A Cabman’s Shelter in London. A Cabman’s Shelter in Muggle London. Click any marker to display the attraction or venue name. To scroll or zoom, use the controls on the bottom-right of the map. You may also switch to different map views by using the buttons on the bottom-left of the map.